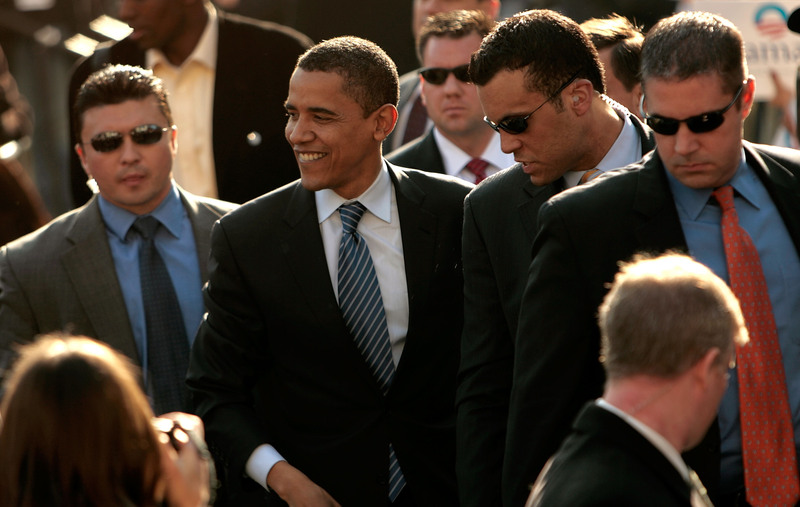 If there is absolutely one group of people who can't have an off day, it's the Secret Service. Lately, however, they've had a few baffling missteps that have compromised the president's security and left legislators aghast. Following a series of embarrassing revelations about the Secret Service, here's another: three days before a man jumped the White House fence and managed to get to the East Room, President Obama's security was breached when an armed man was allowed to ride in an elevator with him. On a visit to the Centers for Disease Control and Prevention in Atlanta, Obama rode in an elevator with an armed security contractor with three convictions for assault and battery. Though this is clearly a violation of Secret Security protocol, the president was not informed of the security breach, and the incident was not reported for investigation. This latest realization comes after Secret Service Director Julia Pierson was questioned by the House for three hours on Tuesday and somehow failed to mention this incident. I'm not saying it's an easy job. I'm certainly glad that it isn't my responsibility to protect the leader of the free world, but if that's what you signed up to do, you should probably... do it. And these security lapses are particularly disturbing when it seems like the only thing that Secret Service leaders want to do is cover them up. Pierson, the first female director of the Secret Service, spent most of Tuesday's congressional hearing defending her agency's reputation against two big incidents: the Omar Gonzalez fence jumping on Sept. 19 and Oscar Ortega-Hernandez's White House shooting in 2011, which, by the way, took days for the Secret Service to figure out it had even happened. She didn't do it very well. And if you're being grilled for massive security issues with your agency, whose job is, you know, to provide security to the president, you should probably go ahead and get everything out there on the table in that moment. The slowly emerging details of the Secret Security doesn't really inspire a lot of confidence in the agency's abilities to protect the president. On the plus side, legislators are completely dumbfounded at the Secret Service's actions and inactions, and have called for further investigations. So maybe there will be a renewed sense of urgency coming from Pierson and her crew, not that they needed that in the first place, or anything.